For those of you who don’t have dental insurance, we have gone a step ahead and created the Waconia Dental Preventive Plan. For a low fee, it includes preventative dental services and restorative services at a discounted fee. Please call our office or stop by to inquire about them to see what plan your dental needs fit in. We offer upper and lower custom made trays and whitening kit which includes 3 whitening syringes. Every 6 months when you come in for your routine cleaning and check-up you will receive a free single syringe whitening gel, for as long as you are patients of record at our office. Our whitening gels are professional strength which are designed to give better results and help reduce sensitivity. Periodontal disease, injury and tooth decay can all cause a loss of your natural teeth. However, we can bring back the smile on your face with dentures to restore your missing teeth. With improved technology and updated materials, dentists can now make them appear more natural and more comfortable for the patient. There are two types of dentures: complete and partial. Complete dentures cover the patients entire jaw while partial dentures, with their metal framework, replace multiple missing teeth. Ask our doctor to see which type would be right for you. The latest in patient safety, comfort and technology. A digital x-ray system uses a digital sensor and takes a radiograph of your teeth and displays it almost immediately on a computer without having to wait for film to develop. The technology requires far less radiation that conventional film and is much safer and convenient. Do you get up in the morning with a soar jaw? Night guards are the solution. Night guards are worn before going to bed, they prevent teeth from wear due to grinding or clenching. Tooth sealants protect susceptible areas by sealing the grooves and depressions, preventing bacteria and food particles from building up. The sealant material is a resin applied on the biting surface of the back teeth. Sometimes teeth fracture due to gum disease, decay or from getting weak so the tooth needs to be removed from the socket. The concept of a restoration is to replace and restore your tooth structure that is damaged due to decay or fracture with a material. These revolutionary fillings carefully constructed from resin – are bonded to the teeth for not only an aesthetic, long-lasting effect, but also to keep the teeth strong and resistant to injury. We take an impression of your teeth and make custom fit bleaching trays, the bleaching process takes approximately two weeks to get to a few shades lighter. 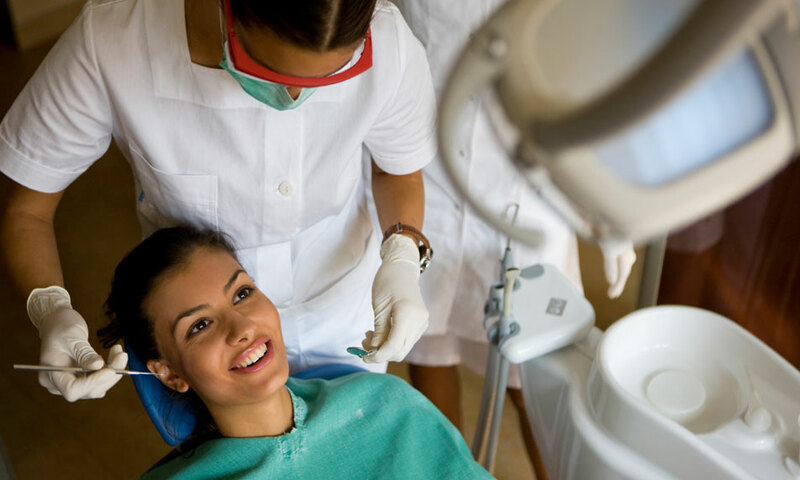 over-the-counter daily bleaching products are available, but it is important to use any bleaching product only under the supervision of a dentist. To achieve the whitening results you desire, the ADA recommends that you seek the professional advice of a dentist, including examination and diagnosis of the cause of tooth discoloration, before you begin any bleaching program. 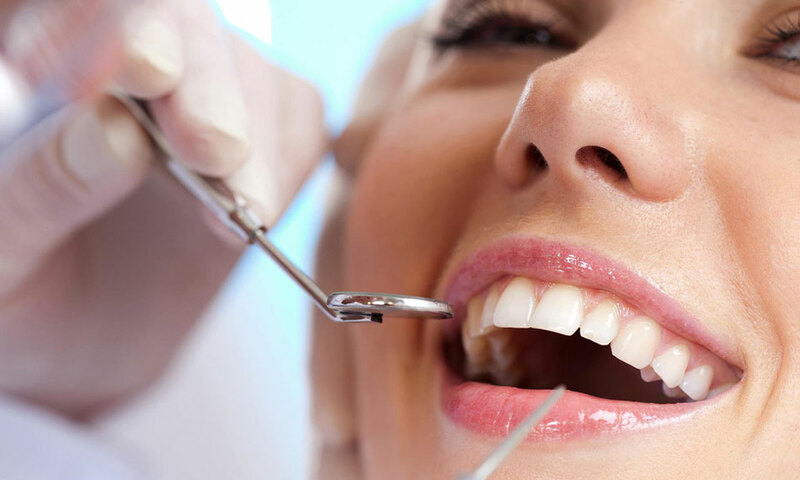 A routine and thorough cleaning includes TMJ check, visual oral cancer screening and oral hygiene instruction. A crown is a permanent covering that fits over an original tooth that is decayed, damaged or cracked. Crowns are made of a variety of different materials such as porcelain, gold, acrylic resin or a mix of these materials. These days the crowns made are custom fit and made from the lab. It can be made of an all one piece Zirconia or porcelain can be layered on it to make it look esthetical. This process generally consists of a minimum of 2-3 visits over a three to four week period. Given proper care, your crowns can last a lifetime. A bridge is a dental device that fills a space that a tooth previously occupied. A bridge may be necessary to prevent the shifting of the teeth. Bridges are also used as a safeguard of existing teeth and help maintain a healthy, vibrant smile.